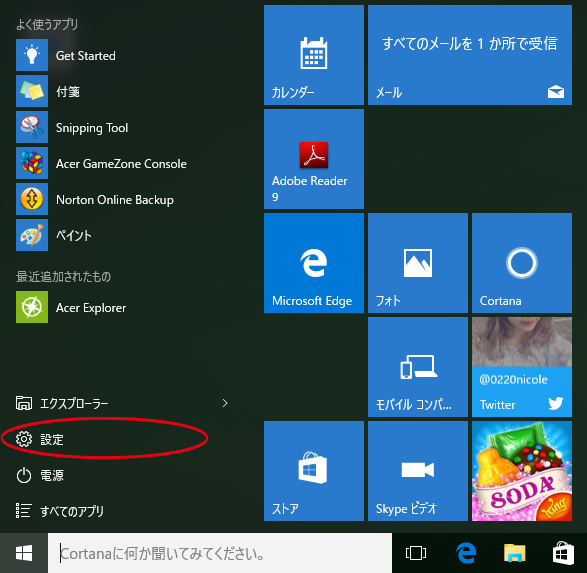 1, Click on the "Settings" from the lower left corner of the Windows icon. 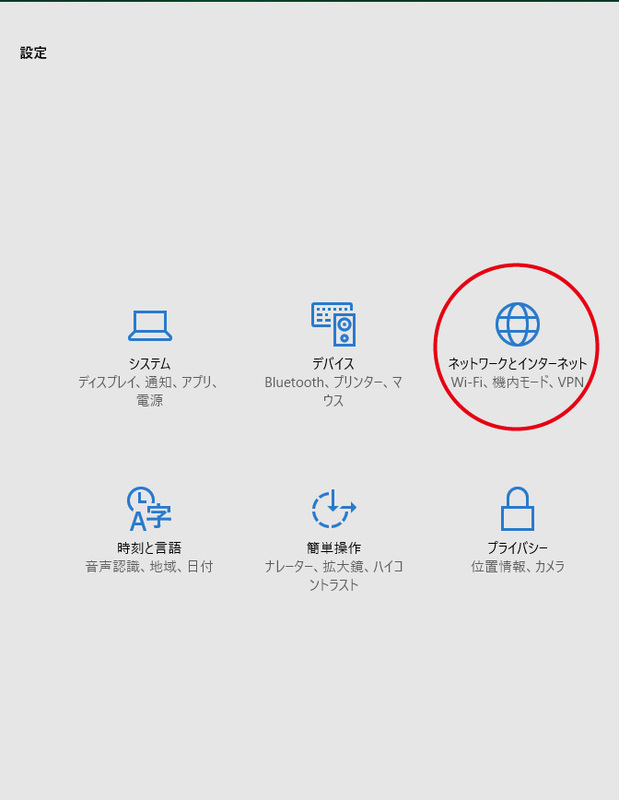 2,Click on the "Network and Internet". 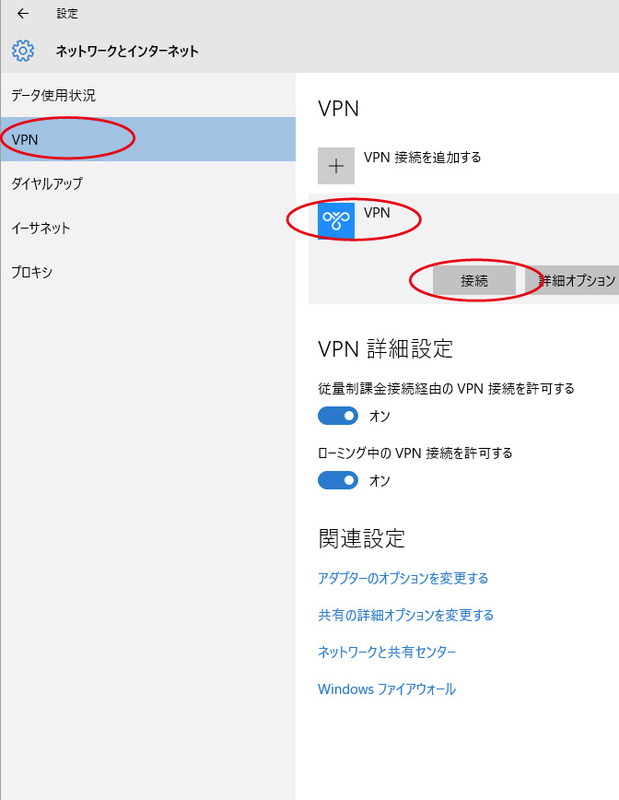 3,Click on the "Add a VPN connection" from the "VPN" in the left menu. 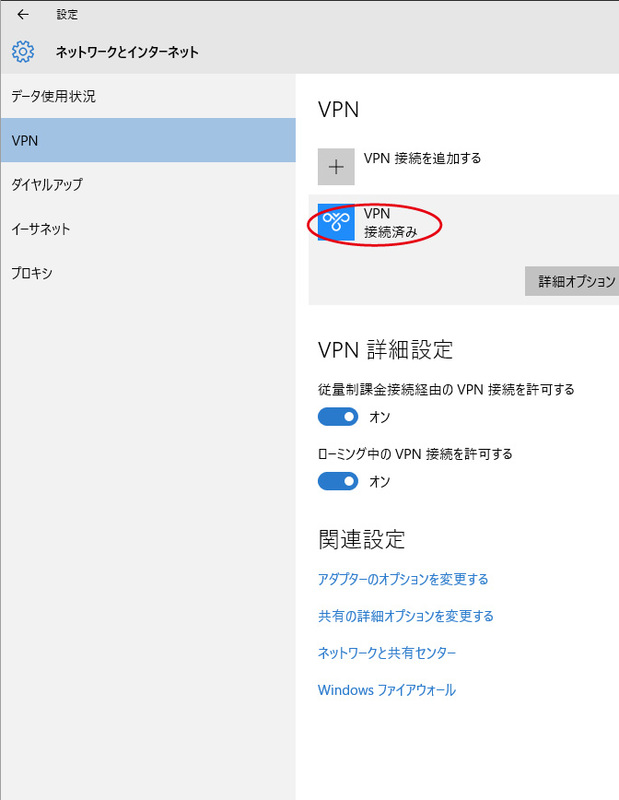 4,VPN provider "Windows (built-in)", connection name "Name", the server name or address, enter either of the connection server (DN) or connection server that is listed in the management screen (IP) (of this page see top). In addition, please be sure to use the case of SSTP, IKEv2 (DN). Connection to fail out an error in the certificate. 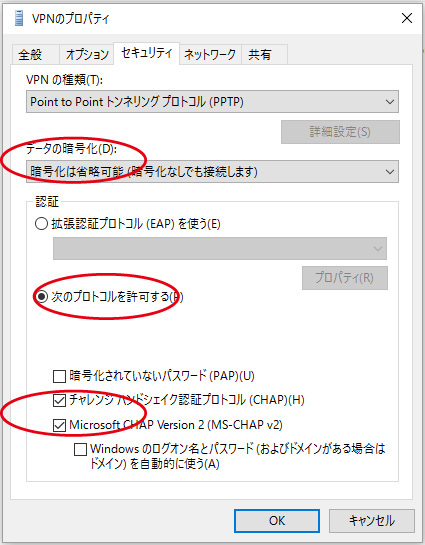 Kind of VPN does not matter automatically, but if you want to specify a PPTP connection, please select the "Point to Point Tunneling Protocol (PPTP)". 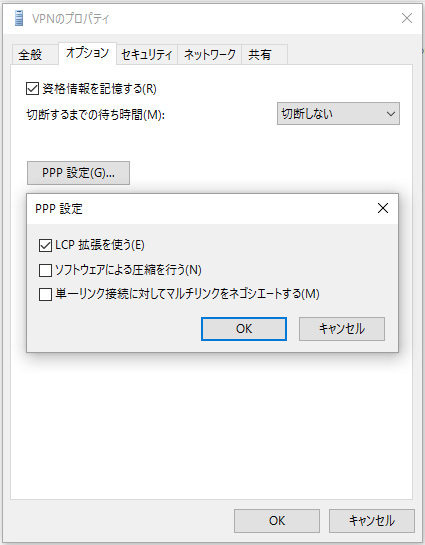 Please select the "Secure Socket Tunneling Protocol (SSTP)" in the case of SSTP connection. Please select Similarly, in the case of IKEv2. 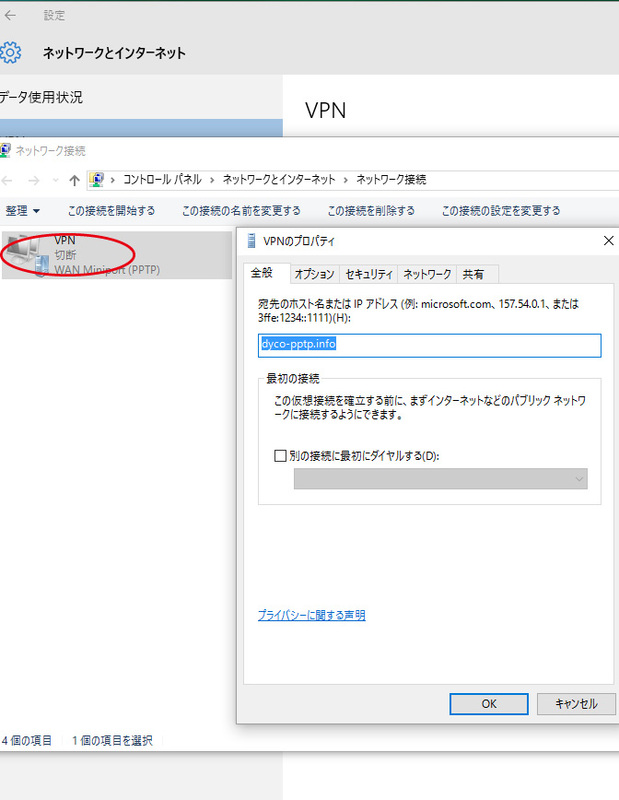 The user name and password to enter VPN connection ID of the management screen described, the connection password. Put a check to save the Saiin information. 5,Setup is completed. 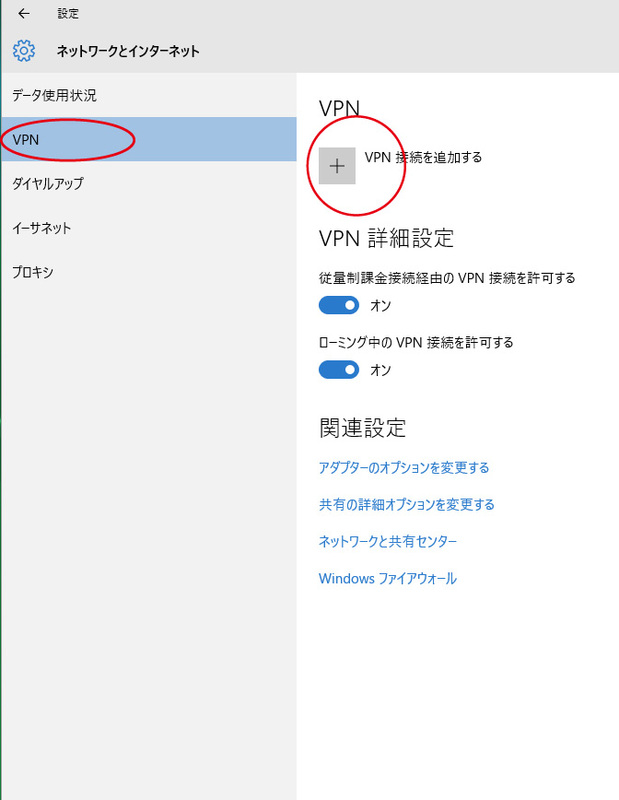 Since the connection button will appear, when you click to start the VPN connection. 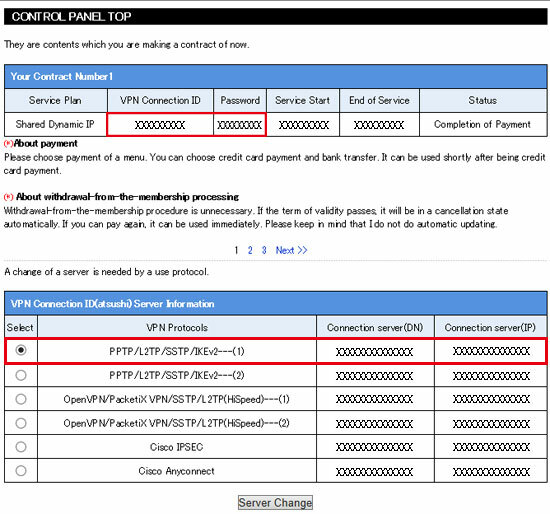 It should be noted, "because there is not enough information, you can not validate the server. 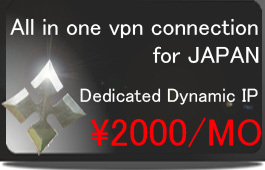 If you trust this server, you can continue to connect." You may see a warning may appear that, but there is no problem with as it is connected. 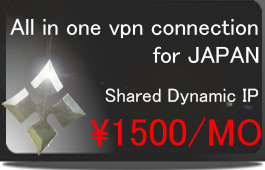 6,If the connection is successful, it will see the connection already. 1,The second and subsequent connections can be performed easier than the lower right corner. 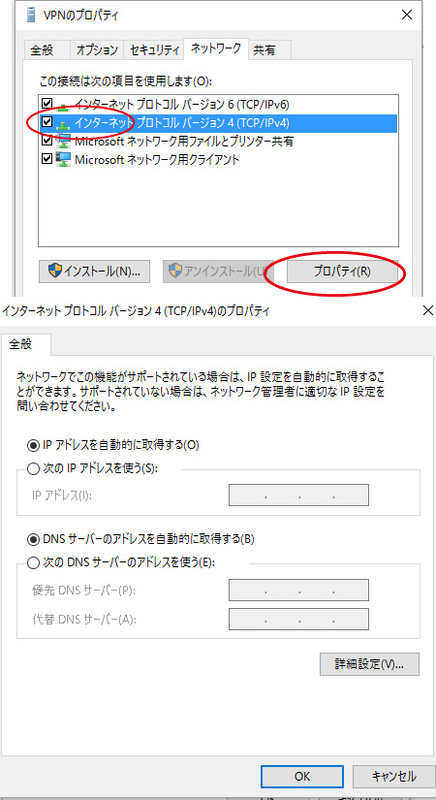 2,In the above method, if the connection is not possible, or, please refer to the following if you need to change settings. 3,Icon set any name will be created in the fourth. This is right-click. General tab has been input is connected. 4,Please put it in street of this setting option tab. 5, Kind of VPN is automatic, PPTP, L2TP, which was initially set at SSTP, IKev2 has been selected. Circle settings are recommended. 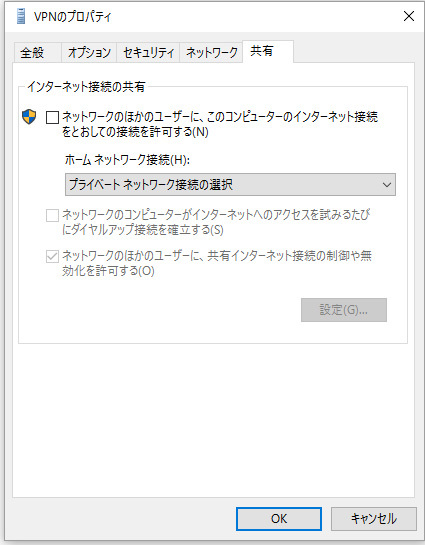 It should be noted that, in the case of Ikev2 Extensible Authentication Protocol will be forced to choose. Please refer to a different page of the manual in regard L2TP settings. 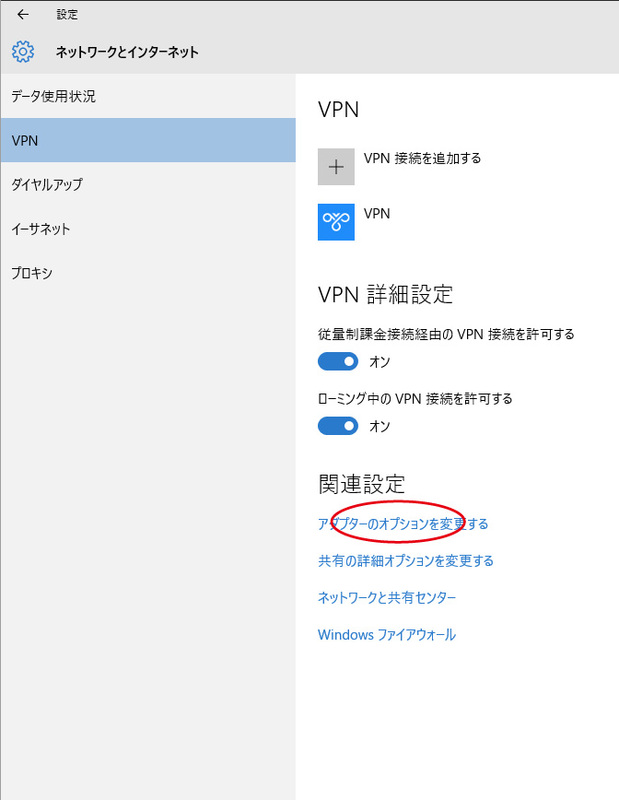 6,Since the IP address is automatically assigned, please set as screen. 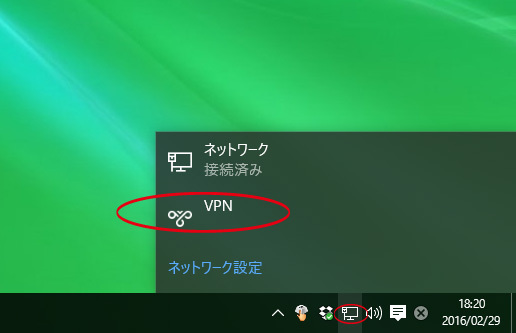 7,"Sharing" tab is not a change of setting, if you select “shared internet connection”you can not connect.